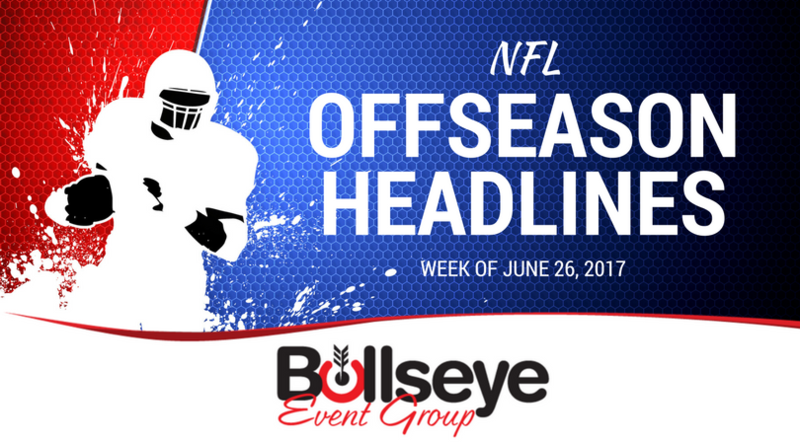 In the final weeks of June, as teams begin to break for their final down time before training camp and the season begins, a look at some of the biggest headlines from the week of June 26, 2017 in the league that never sleeps. After securing quarterback Derek Carr in a massive long-term deal, the team stayed busy on the extension trail, continuing to work to keep their offensive core together. The Oakland Raiders and offensive guard Gabe Jackson agreed to a five-year, $56 million extension on Thursday. A key piece to the protection of their now-franchise QB Carr. Jackson was the third round pick in the 2014 NFL Draft, a draft class that has been very kind to the Raiders, producing both Carr and linebacker Kahlil Mack. Another Comeback for Brett Favre? Didn’t think you’d still be hearing about a comeback for Favre in 2017, did you? Well during an appearance on ESPN Wisconsin’s Wilde & Tausch, Favre hinted that he’s thought about returning to the league once again…but this time as a coach or general manager. You can read an entire transcript of Favre’s comments to Wilde by clicking here. The Dallas Cowboys will be forced to begin their 2017-18 NFL season without a returning member of their defensive front seven. Cowboys defensive end David Irving will serve a four-game suspension handed down by the league after reportedly violating the NFL’s policy on performance enhancing substances. Irving is heading into his third season with the Cowboys, coming off a 2016 campaign that totaled four sacks in 15 appearances.